Many patients around the nation choose to undergo eyelid surgery, also known as blepharoplasty, each year. This procedure offers both cosmetic and, on occasion, functional benefits and can be performed on the top, bottom, or both sets of eyelids. Dr. Ali Sepehr, our extensively trained facial plastic surgeon, utilizes some of the most advanced techniques available, emphasizing a natural-looking result. If you’re considering this operation, there are many factors you should take into consideration, including who you want performing the surgery. Although it shouldn’t be the only concern on your mind, we understand that cost can be another important component to your final decision. The cost of eyelid surgery will range depending on a number of elements, including whether you’re addressing the upper eyelids, lower eyelids, or both. 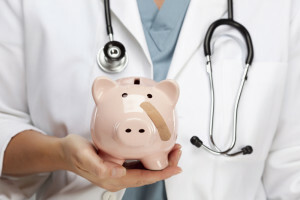 You should also be aware that there are several fees associated with the operation, such as the surgeon’s fee, hospital facility fee, and anesthesiology fee, to name a few. Be sure and ask any facial plastic surgeon you receive a quote from what is included in the price—not all surgeons include all the fees, which can be an unpleasant surprise later if you assumed the number given was the full cost. We believe in transparency, and Dr. Sepehr or someone from our skilled team will go over the fees affiliated with your treatment plan during your initial consultation. To make planning for surgery as convenient and easy as possible, we offer a range of payment options, including financing plans with appealing terms, that can help bring the cost of an eyelid lift into your budget. Additionally, medical insurance may partially cover the cost of your treatment if excess skin on your eyelids impairs your vision. Reach out to us for more information if you believe this may apply to your situation, and we can tell you more.